Crispy fried potato patties stuffed with boiled gram lentil stuffing, this Aloo-Chana Dal Tikki recipe yields filling and delicious tikkis that make for a perfect evening snack. 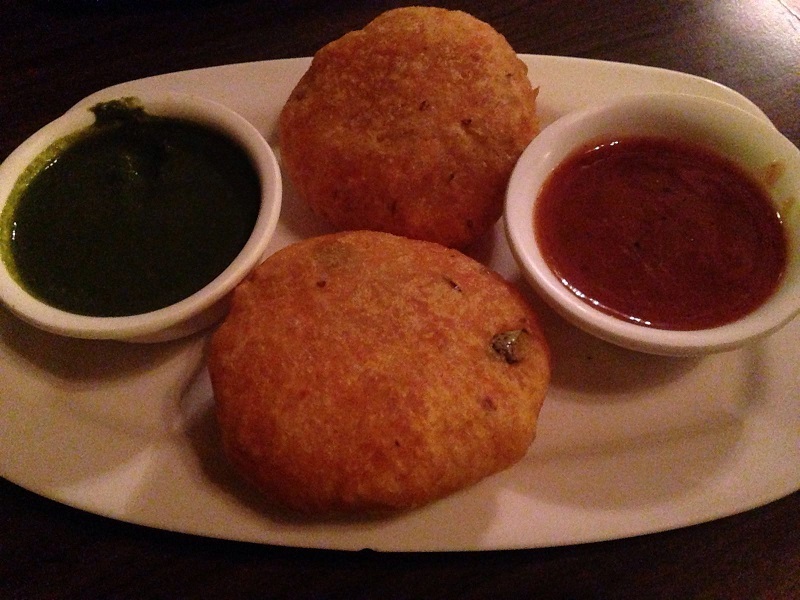 Served best with green and tamarind chutneys, these patties are ideal for parties. In a large bowl mash the boiled potatoes. Add salt, red chili powder, and dry mango powder. Squeeze the soaked bread slices between your palms to drain all excess water from them and then crumble the slices into the potato mixture. Mash and mix the patty mixture with hands until everything is combined thoroughly. In another bowl, combine the boiled lentil with a little salt, red chili powder, chopped onion, chopped green chili, and chopped coriander. Place a deep frying pan over high heat with oil for deep frying. While the oil heats, prepare the patties. Lightly grease your hands and place a small portion of the potato mixture on your palm. Flatten it using your fingers. Then put a little portion of the lentil mixture on it. Roll the potato mixture from all sides to make a stuffed patty. Keep aside.Repeat the same procedure for all patties. Spread the sooji out in a plate. As soon as the oil is hot enough, roll each patty in it and slide it carefully in the hot oil. Reduce the heat to low and fry the patties to a golden color. Then increase the heat and give them a nice brown color. Transfer to a plate lined with paper towels when done.